Chris Herring Heat & Air is proud to serve the Ecru community! 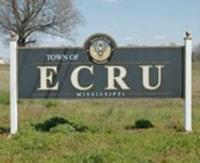 About Ecru, MS - Happy to be your hometown Heating & Air Conditioning Contractor! Located in Pontotoc County, Mississippi, Ecru is a small town with fewer than 1,000 residents. It is located approximately 26 miles west of Tupelo and 34 miles east of Oxford. Further, Ecru is situated approximately 90 miles southeast of Memphis, which provides a wealth of cultural opportunities to area residents. The community is home to a large plant that manufactures Ashley Furniture upholstered furniture items, and this employer brings a variety of job opportunities to the region. One of the most unusual aspects of Ecru is the water pump found on Main Street. This pump was used in 1902 as artesian overflow when there was only one building on the street. When the town later put in concrete sidewalks, community officials decided to leave the pump as a town landmark. Ecru is situated within a humid subtropical climate zone, which will feature four distinct seasons throughout a single year. Winter weather conditions will vary, but fronts from the Upper Great Plains have the possibility of bringing along freezing temperatures and ice storms. With high temperatures only the low 40s on average in January, residents use their heat pump or furnace systems to keep indoor climates comfortable while preventing pipes from freezing. The weather conditions can be dangerous in the summer for other reasons. Afternoon thunderstorms, some of which are strong to severe, are possible, and temperatures are generally hot with high humidity. The average temperatures in July generally exceed 80 degrees, but the humidity level often leaves it feeling even warmer. Ecru residents will need to spend time indoors with an air conditioning system in order to keep safe from possible heat-related illnesses.